New York City has mandated that all preschool children must receive a flu shot. 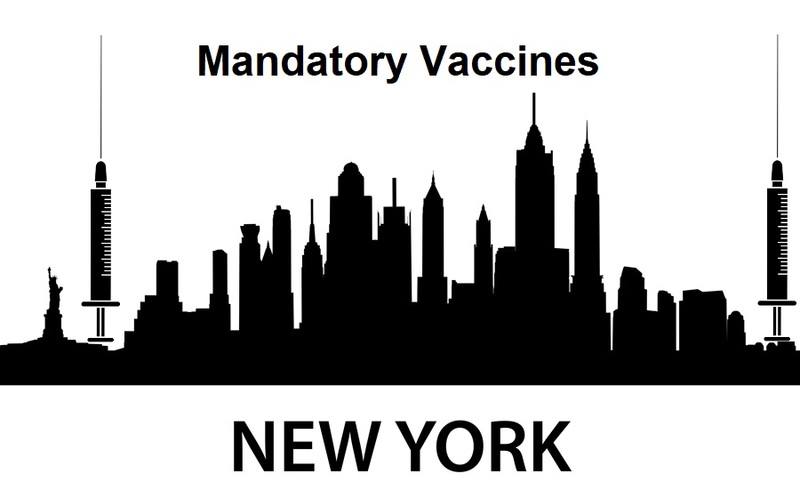 The National Vaccine Information Center is tracking this mandate as well as other proposed vaccine legislation in New York, which includes a proposed law to mandate the Gardasil HPV vaccine. Stay in touch through the NVIC Advocacy Portal on the progress of these bills, or other bills in your home state. "Yehuda Shoenfeld, the Israeli clinician has spent more than three decades studying the human immune system and is at the pinnacle of his profession. You might say he is more foundation than fringe in his specialty; he wrote the textbooks: The Mosaic of Autoimmunity, Autoantibodies, Diagnostic Criteria in Autoimmune Diseases, Infection and Autoimmunity, Cancer and Autoimmunity—the list is 25 titles long and some of them are cornerstones of clinical practice. Hardly surprising that Shoenfeld has been called the "Godfather of Autoimmunology"—the study of the immune system turned on itself in a wide array of diseases from type 1 diabetes to ulcerative colitis and multiple sclerosis. But something strange is happening in the world of immunology lately and a small evidence of it is that the Godfather of Autoimmunology is pointing to vaccines – specifically, some of their ingredients including the toxic metal aluminum – as a significant contributor to the growing global epidemic of autoimmune diseases." GOT KIDS? DON'T GIVE THEM THE FLU VACCINE UNLESS YOU WANT THEM TO END UP IN THE HOSPITAL. NIH STUDY: Effectiveness of Trivalent Inactivated Influenza Vaccine in Influenza-Related Hospitalization in Children: A Case-Control Study. ...there was a significant association between hospitalization in asthmatic subjects and TIV (p = 0.001). TIV did not provide any protection against hospitalization in pediatric subjects, especially children with asthma. On the contrary, we found a threefold increased risk of hospitalization in subjects who did get the TIV vaccine." José Peralta, First Dominican-American Elected to New York State Senate, Dies ...from Flu Shot Received at His Own Flu Shot Clinic! Peralta's wife said he was complaining that it felt like his head was about to explode—that's encephalitis, the brain swelling inside the skull with no place to go. Now imagine that happening to an infant, with no ability to communicate. That's why infants cry for entire days after vaccination—encephalitis. "Confusion, speech problems, shaky movements, and hallucinations are some of the side effects your child could have while taking Tamiflu. The Wallens say their 2-year-old son, Steven, was twitching, hallucinating, and slamming his head in pain after taking the medicine after being diagnosed with the flu." If the flu shot doesn't kill you—it'll really mess you up. I don't live in New York. Each time I have sent letters to my representatives in Illinois, I receive a typical response informing me that vaccines are safe and necessary for community immunity. The majority of members of Congress and our governors don't even take the time to look into this issue, as the pharmaceutical companies give them so much support, they won't go against what they say. We need to fight this issue in a different way. We should be forming large groups and show up at each state capitol to let them know we don't agree with their legislation.